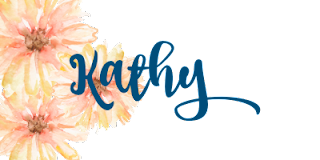 #stampinup #saleabration2018 #faithfulinkspirations I've got to tell ya: the Springtime Foils Specialty Designer Series Paper is da bomb! It's gorgeous all by itself, but when you color the images with Stampin' Blends, magic happens! If you want some of this DSP--and you know you do!--you'll have to act fast because you can only earn it with a $50 purchase and only until Sale-a-Bration ends on March 31. Look at this gorgeous card that I made in no time! 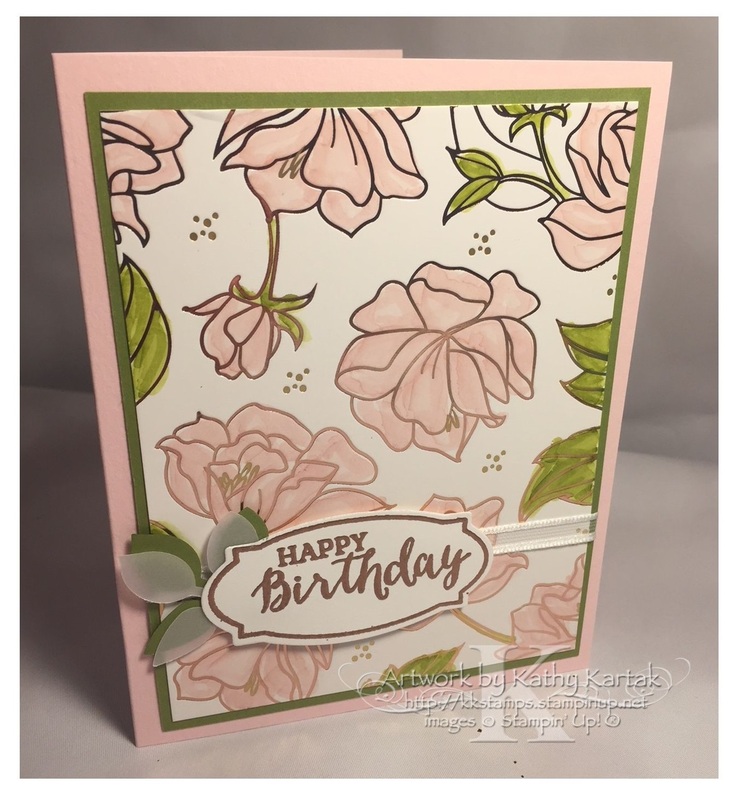 I cut a 3-3/4" by 5" piece of the Springtime Foils DSP and colored the flowers with Dark and Light Pink Pirouette Stampin' Blends and the leaves with Dark and Light Old Olive Stampin' Blends. So pretty! I adhered this to a 3-7/8" by 5-1/8" Old Olive Card Stock mat. I wrapped a length of 1/4" Whisper White Organza Ribbon around these pieces before adhering them to a Pink Pirouette Card Stock card base. Next, I stamped a sentiment and frame from the "Rose Wonder" stamp set in Versamark onto a Whisper White scrap. I sprinkled on some Copper Stampin' Emboss Powder and set it with my Heat Tool. I used one of the the Rose Garden Thinlits to cut out the label. I punched a sprig of leaves from Old Olive Card Stock and another sprig from Vellum Card Stock using the Leaf Punch. I adhered these to the back of the label and then used Stampin' Dimensionals to adhere the label to the card. Gorgeous, right?! And so fun to make, too! Tomorrow, I have two cards to share that feature an element from the Petal Passion DSP that I colored with Stampin' Blends. They're so fun, too! Come on back and see!